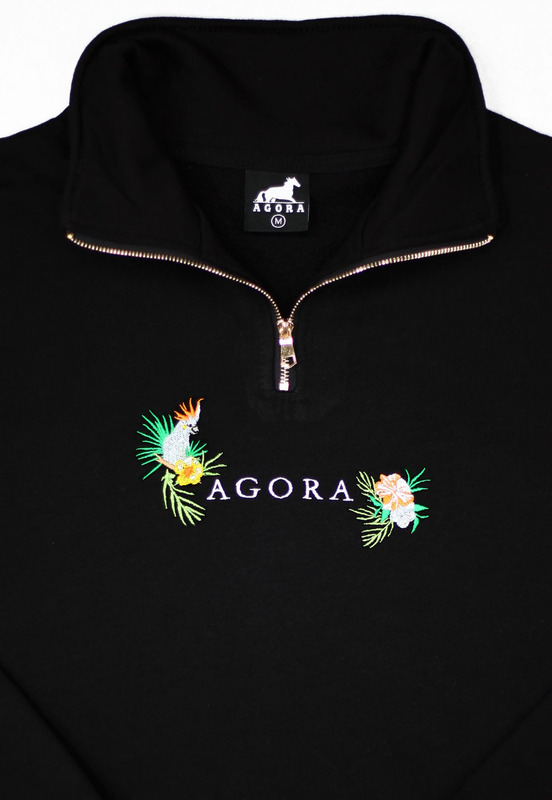 Agora Tropics Pullover sweater. Medium-light construction top from 100% French Terry cotton. Tailored, true to size fit with a little extra length. 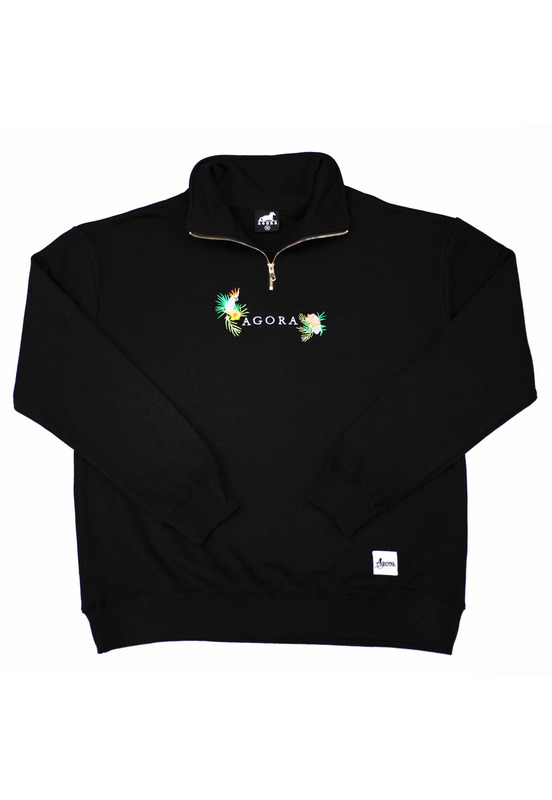 Finished with a gold quarter length zip.